In this rapidly advancing technological environment, cloud computing has also been gaining momentum, and tech experts are looking for more new and innovative ways to integrate their existing technology with the cloud model. There are now more direct use cases of cloud computing with greater levels of customization then it was ever before. The ability to bring new and enhanced cloud experiences with cross-cloud compatibility facilities has helped to form a new environment of Cloud API’s (Application Programming Interface) and frameworks. These APIs has enabled the administrators to integrate their work loads and applications into the cloud. Now, administrators can integrate applications and other workloads into the cloud using these APIs. But it’s obvious to get some questions like: which is the best API model and how can you integrate it into your cloud? PaaS APIs (Service-level): PaaS (Platform-as-a-Service) APIs are the service APIs which are basically designed to provide functionality and access to a specified cloud environment. PaaS APIs allows the integration of cloud environment with the different platforms such as messaging systems, storage components, web portals and databases etc. 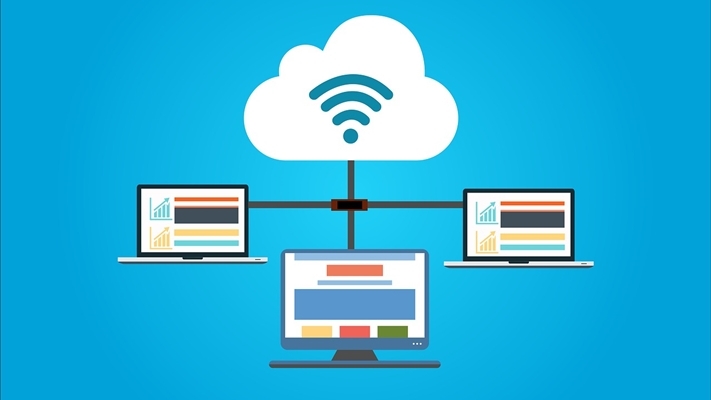 SaaS APIs (Application-level): SaaS (Software-as-a-Service) APIs basically work as a connector which helps in connecting cloud and IT infrastructure to its application layer. ERP solutions and CRM applications are the examples where SaaS APIs are used to create a cloud application extension for the existing environment. IaaS APIs (Infrastructure-level): IaaS (Infrastructure-as-a-Service) are the one responsible for controlling infrastructure specific cloud resources and its distribution. IaaS APIs help in rapid provisioning and de-provisioning of cloud resources. Also, these are used in network configurations and VM management. Cloud provider and cross-platform APIs: Today almost every environment doesn’t use only one platform or service provider. So, there is a huge demand for cross-platform compatibility. To serve for this purpose, service providers are offering generic HTTP and HTTPS API integration to allow greater cloud versatility. Cross platform APIs also have an added advantage of allowing the cloud tenants to access resources not only from their primary cloud service provider, but also from others. This versatile function saves a lot of development energy and time, as organizations can not only share resources but also workloads from different cloud providers and platforms. Selecting the right API platform is always a crucial aspect for any organization. There is always a high possibility that there may be a need for multiple API models for any functional environment to function well. But, the cloud service model is still new and there are numerous challenges that needs to be eradicated out. Infrastructure and platform compatibility are the most important ones among others. Every organization faces a common challenge of deployment, and there are times when an application just doesn’t work with a particular cloud platform. So, its very important for every organization to plan out everything during the development phase, so that all the pieces can interoperate and there would be no compatibility issues. There’s a plethora of cloud APIs and frameworks, and each solution or platform has its own benefits as well as challenges. Also, the simple cloud APIs are developed by many organizations to serve for the purpose of cross-platform cloud environment, so that these can integrate with services from the big players like Amazon and Microsoft. Before choosing any API, every organization consider the basic fundamentals because the solution selected would highly depend on the infrastructure that needs to be delivered. For example: If storage connectivity is your concern, then try choosing a platform that has the facility of integrating with various storage models via WAN. The cloud API model will only continue to grow as more organizations look for efficient ways to connect their environments together. Though there’s many complications in API landscape. But none of these seem to be able to dampen developers’ enthusiasm for APIs, nor that of users for the incredible variety of apps and services they make possible.